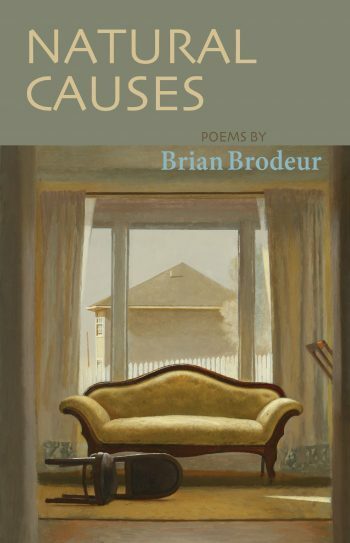 Brian Brodeur is the author of the poetry collections Self-Portrait with Alternative Facts (2019), Natural Causes (2012), and Other Latitudes (2008), as well as the poetry chapbooks Local Fauna (2015) and So the Night Cannot Go on Without Us (2007). 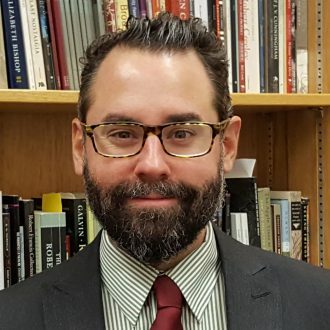 New poems and critical essays appear in American Poetry Review, Blackbird, Hopkins Review, Kenyon Review, Measure, Pleiades, and The Writer’s Chronicle. Founder and Coordinator of the digital interview archive How a Poem Happens, as well as the Veterans Writing Workshop of Richmond, Indiana, Brian lives with his wife and daughter in the Whitewater River Valley. He teaches at Indiana University East.